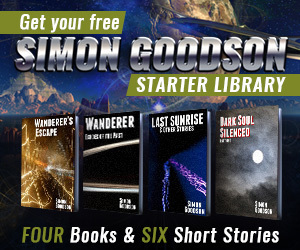 Want an exclusive free short story? All you have to do to get Fuel Pressure (a Starflare Universe story) is subscribe to one of the mailing lists (or all three if you fancy it) over at the subscription page. Already a subscriber? Then you should have received an email today with details of how to get to the story. If not then please leave a comment below. Want more? Well at the end of every quarter I’ll buy doxycycline online in australia pull one subscriber’s name at random and they’ll win a signed eBook (their choice from all those I’ve published). And as you may have noticed, we are only a few weeks away from the first draw. Want even more? Well I plan to add a couple more exclusive stories in the next few weeks (once again existing subscribers will be notified). So what are you waiting for? Get over to the subscription page now!